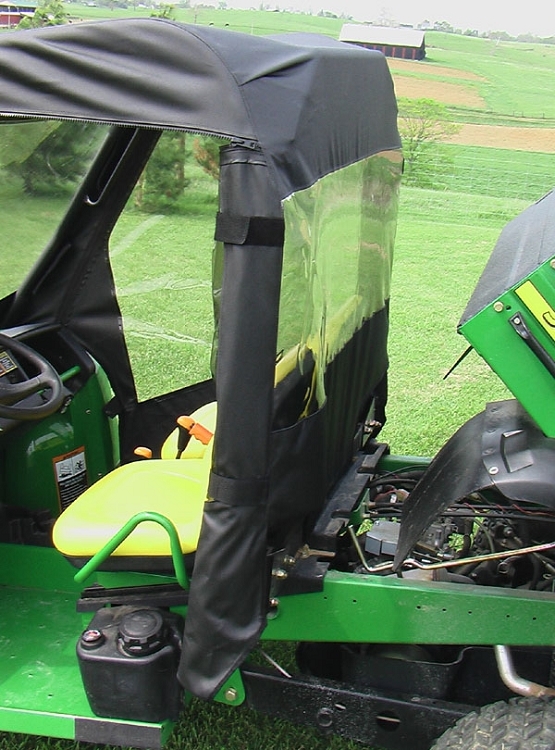 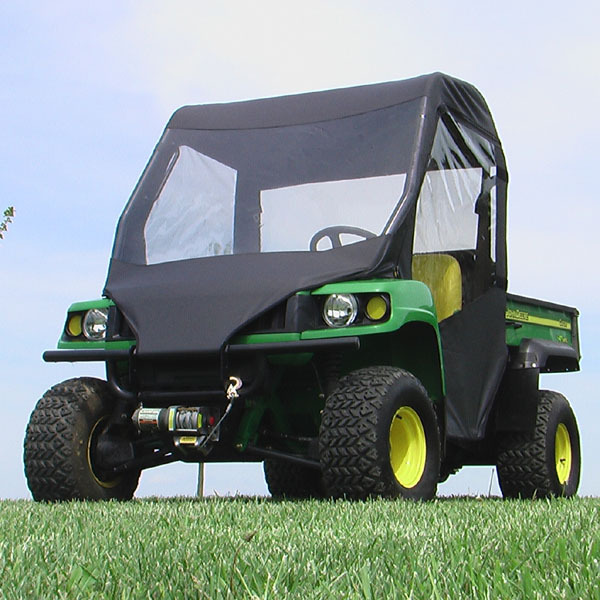 Our Full Cab Enclosure is handcrafted, & hand measured to ensure a precise fit on your John Deere Gator HPX XUV 620i 850d . 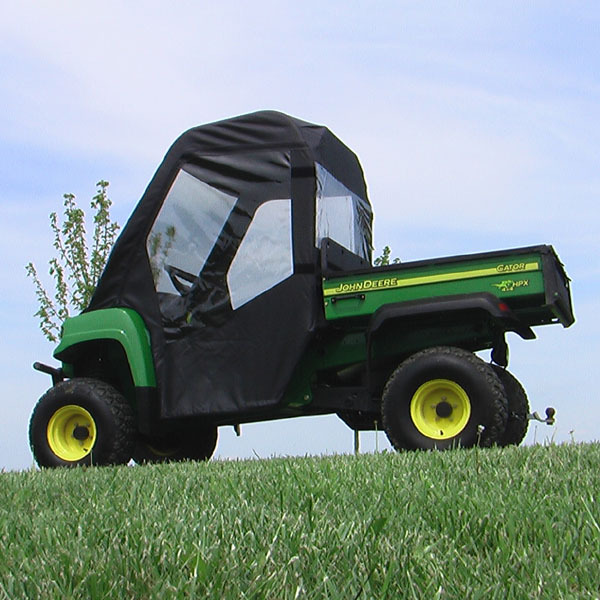 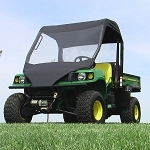 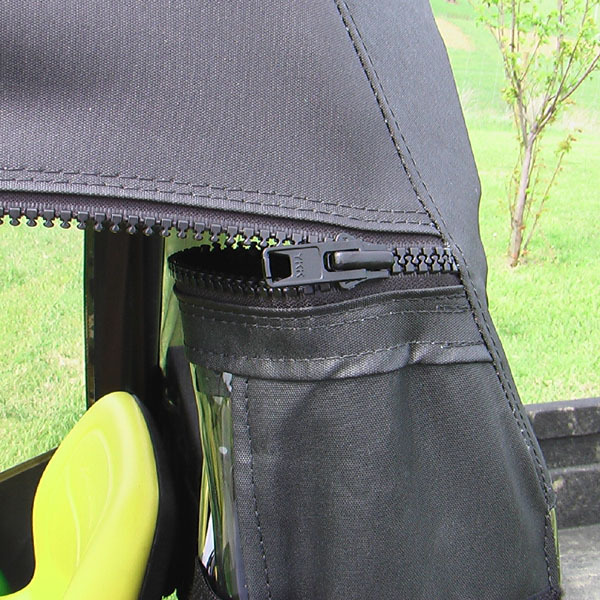 Provides complete protection from the elements; incorporating a canopy, windshield, doors, and rear window! 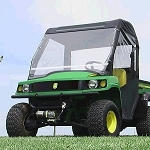 The Windshield, doors, & rear window are constructed of durable Aquaview Vinyl.